Make your own posters, banners and signs! RonyaSoft Poster Designer 2.3.2 was available as a giveaway on April 25, 2016! RonyaSoft Poster Designer is a poster design software program to make your own posters, banners and signs. You do not longer need to be professional designer to create your own beauty graphics. Collection of 300+ ready to use poster templates and collection of 1500 clipart images are included to make your poster creation easy as 1-2-3. Poster collection includes: Funny, Business, Party, Event, Sale, Certificates, Signs and more…Utilize your creativity and make attractive posters and banners yourself with poster maker software! The best three improvement ideas will be rewarded with a lifetime license for RonyaSoft Poster Designer. Please use the IdeaInformer widget for the ideas! How would you improve RonyaSoft Poster Designer 2.3.2? Poster printing software application helps to print large posters and banners at home or at the office. Any photo, image or Microsoft Word document may be used to create huge posters. Just select an image, specify the size, and software will print it on multiple tiles! Create big posters and banners by yourself! Please, use the coupon code: GIVEAWAYOFTHEDAY to get 50% discount on Poster Printer during the Giveaway period. Didn't look like it registered until I closed out of the program, THEN clicked on Activate. That worked. Looks like a nice interface and a fun program. Thanks very much, GAOTD and RonyaSoft! Installed and activated with no problems at all- Windows 7 Pro, 64- bit machine. Installed and activated with no problems at all- Windows 7 Pro, 64- bit machine. Thanks for this giveaway! installed fine and retained activation from version 2.0.2 license data as well as accepting the new activation data. This is a relatively easy program to use and I have been involved with the creation of several posters and banners using the previous 2.0.2 giveaway version. You can define a different installation and start menu path to allow you to keep your older version alongside the new version. This program does have a significant limitation in that it is memory allocation bound because it must render the entire full resolution bitmap to 32bit address space so can run out of space. previous giveaway delt with this by simply restricting the dimensions we can choose significantly. Previously it was limited to 1016mm x 1016mm which is a rather short banner length. This version allows 2032mm x 2032mm at upto 600dpi but fails to allocate sufficient memory when rendering the full sized bitmap to save as image or pdf because the pixel size of the bitmap generated is 48000 x 48000 pixels which is 2,304,000,000 pixels and at 3 bytes per pixel that is a little excessive for 32bit address space! But when it fails to allocate enough memory the error is trapped and the program itself does not crash and lose the project we are working on to allow alternate save as image resolution settings until you can get one that works... one can print to PDF printers to print bigger banners in high quality with suitable PDF virtual printers than you can save as PDF at. Not all PDF virtual printers can handle ginormous PDF dimensions Nitro PDF reader virtual printer cannot, it generates an internal error when trying to print oversized document dimensions. Adobe PDF virtual printer allowed me to print a 3000mm wide banner scaling up a 2000mm one to 150%. I have also had success with CutePDF printer and oversized documents printing 3.5M wide banners to PDF to be then given to comercial print service for final printing. "Access violation at address 00000000 in module 'PosterDesigner.exe'. Read of address 00000000." The alert box invited me to send in a report and provided a link to discover what the report contained but I never got futher information on clicking the link and no confirmation that the submission of the report was successful or not. The box reapeared several times before finally exiting. Despite these errors on exiting, probably due to incomplete cleanup after the trapped failed memory allocation errors earlier in the session I do think this is a good program quite capable of making good quality posters and banners especially when printed professionally. Of course Microsoft Publisher is better at handling oversized banners, being able to create and edit a 3.5M long banner directly but it is more complicated and less intuative to use as well as being more expensive and lacks all the RonyaSoft clipart. installed fine and retained activation from version 2.0.2 license data as well as accepting the new activation data. This is a relatively easy program to use and I have been involved with the creation of several posters and banners using the previous 2.0.2 giveaway version. You can define a different installation and start menu path to allow you to keep your older version alongside the new version. This program does have a significant limitation in that it is memory allocation bound because it must render the entire full resolution bitmap to 32bit address space so can run out of space. previous giveaway delt with this by simply restricting the dimensions we can choose significantly. Previously it was limited to 1016mm x 1016mm which is a rather short banner length. This version allows 2032mm x 2032mm at upto 600dpi but fails to allocate sufficient memory when rendering the full sized bitmap to save as image or pdf because the pixel size of the bitmap generated is 48000 x 48000 pixels which is 2,304,000,000 pixels and at 3 bytes per pixel that is a little excessive for 32bit address space! But when it fails to allocate enough memory the error is trapped and the program itself does not crash and lose the project we are working on to allow alternate save as image resolution settings until you can get one that works... one can print to PDF printers to print bigger banners in high quality with suitable PDF virtual printers than you can save as PDF at. Not all PDF virtual printers can handle ginormous PDF dimensions Nitro PDF reader virtual printer cannot, it generates an internal error when trying to print oversized document dimensions. Adobe PDF virtual printer allowed me to print a 3000mm wide banner scaling up a 2000mm one to 150%. I have also had success with CutePDF printer and oversized documents printing 3.5M wide banners to PDF to be then given to comercial print service for final printing. I did get an error on exiting this version which presented the following text: "Access violation at address 00000000 in module 'PosterDesigner.exe'. Read of address 00000000." The alert box invited me to send in a report and provided a link to discover what the report contained but I never got futher information on clicking the link and no confirmation that the submission of the report was successful or not. The box reapeared several times before finally exiting. Despite these errors on exiting, probably due to incomplete cleanup after the trapped failed memory allocation errors earlier in the session I do think this is a good program quite capable of making good quality posters and banners especially when printed professionally. Of course Microsoft Publisher is better at handling oversized banners, being able to create and edit a 3.5M long banner directly but it is more complicated and less intuative to use as well as being more expensive and lacks all the RonyaSoft clipart. Gives error "Failed to connect, Try later"
Tried several times. Same error. Other GAOTDs install fine w/o any problems. What is going on? Frustrating. Followed instructions exactly. When ran activate.exe (while progarm was NOT running) Gives error "Failed to connect, Try later" Tried several times. Same error. Other GAOTDs install fine w/o any problems. What is going on? Frustrating. How long the license of this version valid? Looks a useful starting point. Nothing you say couldnt do in Powerpoint, but I find programmes like this give me some inspiration on where to start designing the layout . No problem saving or printing. Templates are fairly basic. I was hoping to be able to create wavy and curved text, and it is mentioned in the help, but the relevant buttons seem to be missing. Not a bad program, and if you havent got powerpoint then a useful addition. Email arrived promptly, installed and activated in less than a minute Windows 10 (read the install instructions people!) Looks a useful starting point. Nothing you say couldnt do in Powerpoint, but I find programmes like this give me some inspiration on where to start designing the layout . No problem saving or printing. Templates are fairly basic. I was hoping to be able to create wavy and curved text, and it is mentioned in the help, but the relevant buttons seem to be missing. Not a bad program, and if you havent got powerpoint then a useful addition. Neither did I have download, installation or registration problems, nor was I worried about the printing support for splitting into appropriate number of sheets for larger formats. So I can at least tell you what the software is capable of and what it will not do. There are quite a number of templates included, really well adaptable to suit your own tastes and needs or you can start with a blank new document, even with specific size. Add background, insert cliparts of all sorts (also fully adaptable in colour, size, orientation, placing), or your own photos, add or import existing text, enhanced features such as font choice (all your installed fonts are accessible), sizing, outlines and drop shadows, choice of colour, free positioning, it is all there. All in all it is a graphics layout software, which will give you the chance of creating a layout with a large number of graphic elements. There are no predefined edges, frames available, but any png, jpg, suitable to create a frame of your own liking, will be adaptable. Elements can be copied, transformed, set back or brought forward, the scope is quite enourmous. However, and that is the big drawback of such a simplified software, unless you have basic knowledge of graphics software you will need time to discover the full potential. With choice of output size, output dpi upto 600, 100 % or less rendering quality , pdf or jpg output format professional print quality can be achieved. The software occupies approx 80 MB of harddisk space, in use the load on the system is not terrific (300MB for some background graphics and text) size 3333x5000px. With skill and an assortment of cliparts, pictures, and some ideas this programm can be quite useful. For scaling and transforming, png is way preferable to using jpg objects. I do not really need the software having Adobe CC Photoshop but for easy scrapbook type layouts with suitably prepared objects I am quite game to use it. I do not need to finish a layout before closing down because RonyaSoftDesigner saves in its own format which allows alterations. For being free, definitely a keeper. Lightweight, but with a kind of hidden quality, and on my Win 10 machine absolutely steady. Ronyasoft certainly know about graphics. So, thank you and if my appraisal helps, all the better. Neither did I have download, installation or registration problems, nor was I worried about the printing support for splitting into appropriate number of sheets for larger formats. So I can at least tell you what the software is capable of and what it will not do. There are quite a number of templates included, really well adaptable to suit your own tastes and needs or you can start with a blank new document, even with specific size. Add background, insert cliparts of all sorts (also fully adaptable in colour, size, orientation, placing), or your own photos, add or import existing text, enhanced features such as font choice (all your installed fonts are accessible), sizing, outlines and drop shadows, choice of colour, free positioning, it is all there. There is the usual range of pre-defined shapes available, freehand sketching is also possible, even Excel files can be imported by copy and paste (not tried) All in all it is a graphics layout software, which will give you the chance of creating a layout with a large number of graphic elements. There are no predefined edges, frames available, but any png, jpg, suitable to create a frame of your own liking, will be adaptable. Elements can be copied, transformed, set back or brought forward, the scope is quite enourmous. However, and that is the big drawback of such a simplified software, unless you have basic knowledge of graphics software you will need time to discover the full potential. With choice of output size, output dpi upto 600, 100 % or less rendering quality , pdf or jpg output format professional print quality can be achieved. The software occupies approx 80 MB of harddisk space, in use the load on the system is not terrific (300MB for some background graphics and text) size 3333x5000px. With skill and an assortment of cliparts, pictures, and some ideas this programm can be quite useful. For scaling and transforming, png is way preferable to using jpg objects. I do not really need the software having Adobe CC Photoshop but for easy scrapbook type layouts with suitably prepared objects I am quite game to use it. I do not need to finish a layout before closing down because RonyaSoftDesigner saves in its own format which allows alterations. For being free, definitely a keeper. Lightweight, but with a kind of hidden quality, and on my Win 10 machine absolutely steady. Ronyasoft certainly know about graphics. So, thank you and if my appraisal helps, all the better. Cheers. THIS thing won´t register. Dont have time to safe mode, or all other extra work.... if it doesn´t work it doesnt work. Avoid having to tell us to go around the world in 90 minutes to get the reg code... well in this day and age, an hour of hassle feelss like an unneccessary around the world trek. Mine didn't register either. I got the watermark. I followed the instructions exactly. In general programs only check if they are registered when they are opened, but not when they are running. So after any form of registration the program should be closed and then reopen. PUENTEUSA, In general programs only check if they are registered when they are opened, but not when they are running. So after any form of registration the program should be closed and then reopen. Hope this helps. Just click Activate and when done Setup. As easy as one two three. Indubitably there are persons who miss something in between. I would like to ask how to download more templates from the homepage? When I download templates it's the main program offered here and not the template package. Nandor, the main program includes the [300 or so] templates. setup & activation is ok. now if i want do Multipage Printing do i need to buy extra software ? gimlaim gimlaim, that depends upon the printer driver you have installed some offer cutting a large form print to multiple smaller form sheets, others don't if yours don't then you could buy ronyasoft posterprint program or get the posters commercially printed to the size you want directly. I downloaded and installed your offer for today, RonyaSoft Poster Designer 2.3.2. However, even though I have run the Activation prog a few times, it does not seems to have licensed the software. I still get the Demo / Registration screen at start-up. 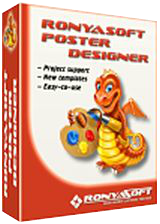 I downloaded and installed your offer for today, RonyaSoft Poster Designer 2.3.2. However, even though I have run the Activation prog a few times, it does not seems to have licensed the software. I still get the Demo / Registration screen at start-up. Thanks. 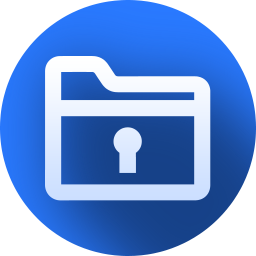 I extracted to a folder (rather than just running the activator from inside WinZip) and ran it as Administrator. I installed the sw and also ran the Activate.exe as directed. But the Registration pull down still asks for a User Name and Key? So is it really registered/? ghudak, Got it. You must close the app and reopen it. The registar line is grayed out. I installed it. When I run activate.exe I get a message that says the giveaway period for this software is over. This software GOTD was offered on April 25 and I an running activate.exe on April 25. Any ideas on what to do? Dale, Check the date on your computer, making sure it says April 25, 2016 as well. I vaguely recall reading a while back that the wrapper uses the local computer date as well as the server's date to verify...? 1. Delete your cookies in your browsers. 2. Make sure Internet Explorer is set to "online" as that's also what the Giveaway wrappers use to check for Internet connection I believe... If it's set to "offline" it will fail every time. 3. Try rebooting into "safe mode with networking" and try then. That's all I can think of to try. Good luck! Dale, The only other things I can think of to try is: 1. Delete your cookies in your browsers. 2. Make sure Internet Explorer is set to "online" as that's also what the Giveaway wrappers use to check for Internet connection I believe... If it's set to "offline" it will fail every time. 3. Try rebooting into "safe mode with networking" and try then. That's all I can think of to try. Good luck! Trying 2 b Helpful, I tried downloading the zip file again, this time from Firefox instead of Chrome like I did before. Instead of downloading it immediately like Chrome did, in Firefox it offered to send a download link to my e-mail address. I said OK, downloaded from that link and installed over the top of the installation from earlier today. This time the activation worked with no date error. Trying 2 b Helpful, I tried downloading the zip file again, this time from Firefox instead of Chrome like I did before. Instead of downloading it immediately like Chrome did, in Firefox it offered to send a download link to my e-mail address. I said OK, downloaded from that link and installed over the top of the installation from earlier today. This time the activation worked with no date error. Thanks for your offers of help. How do you register this program? I am an old user of RonyaSoft Poster Designer (commercial license). I like it because interface is easy to use, there are a lot of templates to choose from. Customer support is good. It is a kind of handy tool in my designing. So far I have never tried to print therefore could not talk about those problems some people have mentioned here. In the above comments I read about saving options. I agreed there should be more than JPEG/PDF such as PNG. I got commercial license but those who intend to buy better ask terms and conditions because some templates could not be used even with commercial license. Finally I wonder why GOTD offered an older version. I am an old user of RonyaSoft Poster Designer (commercial license). I like it because interface is easy to use, there are a lot of templates to choose from. Customer support is good. It is a kind of handy tool in my designing. So far I have never tried to print therefore could not talk about those problems some people have mentioned here. In the above comments I read about saving options. I agreed there should be more than JPEG/PDF such as PNG. I got commercial license but those who intend to buy better ask terms and conditions because some templates could not be used even with commercial license. Finally I wonder why GOTD offered an older version. Ari, the version offered here is exactly the same as the setup file you can download from RonyaSoft directly! 2.03.2.2 md5 hashes match. It is a minor update but is functionally better IMHO. previous GOTD is v2.02.07 ? Presume that this is not an update. This is v2.0.3 previous GOTD is v2.02.07 ? Presume that this is not an update. This offering is version 2.3.2.2, an obvious update to the previous giveaway. T.O.F., This offering is version 2.3.2.2, an obvious update to the previous giveaway. In the save options there is a "Save as Image (pdf)"
I was able to copy and paste my own clipart. I was also able to do "In-sutu text editing"
As for "new collections" .... I don't have the time at the moment to compare old and new collections. Catamus Mann, All I can say is the program identifies itself, in "Help", "About" as version 2.3.2.2 In the save options there is a "Save as Image (pdf)" I was able to copy and paste my own clipart. I was also able to do "In-sutu text editing" As for "new collections" .... I don't have the time at the moment to compare old and new collections. PS. File size of today's offering (Installed) 13Mb, as opposed to old version of 9.39Mb. Presumably the extra space is taken up by the new images. Nigel, PS. File size of today's offering (Installed) 13Mb, as opposed to old version of 9.39Mb. Presumably the extra space is taken up by the new images. The inability to print with today's download is quite frankly ridiculous and just an excuse for the developers to make more money by selling it as separate program. To create posters and to print them around $50, no way! Never tried it to print a poster, use it all the time as my default PDF viewer. The inability to print with today's download is quite frankly ridiculous and just an excuse for the developers to make more money by selling it as separate program. To create posters and to print them around $50, no way! However, according to my search on the web someone suggested using PDF-XChange Viewer; save image as a PDF file and print tiled pages using it, available at the following link:- http://pdf-xchange-viewer.en.softonic.com/ Never tried it to print a poster, use it all the time as my default PDF viewer. "....Graphics created with this design software can be exported into image format, printed directly on a home or office printer, or printed large-size on multiple stitched pages with the help of an extra program, Poster Printer." So clearly, you can print to whatever maximum paper size your own printer can handle. To design and print your posters and banners you'll need a regular printer (US Letter; DIN A5, A4, A3 or A2 paper format). Software supports a variety of printer vendors such as HP, Canon, Epson, Lexmark, Brother, and many others. And of course, a Windows PC with at least Pentium III 1500 processor and 512 Mb RAM memory. The RonyaSoft poster making software program is compatible with Windows XP (32 & 64), Windows Vista (32 & 64), Windows 7 (32 & 64), Windows 8 (32 & 64), Windows 10 (32 & 64)." Salvia, No need to buy additional software -- the web page clearly states that you can print directly from within the software - I quote: "Under "MAKE OWN ATTRACTIVE POSTERS, BANNERS AND SIGNS" : "....Graphics created with this design software can be exported into image format, printed directly on a home or office printer, or printed large-size on multiple stitched pages with the help of an extra program, Poster Printer." So clearly, you can print to whatever maximum paper size your own printer can handle. Only if you need to print a hyper sized multi page print, would you (obviously) need separate software -- whether you can manage that via PDFXchange Viewer I wouldn't know It also states it clearly under : "REQUIREMENTS To design and print your posters and banners you'll need a regular printer (US Letter; DIN A5, A4, A3 or A2 paper format). Software supports a variety of printer vendors such as HP, Canon, Epson, Lexmark, Brother, and many others. And of course, a Windows PC with at least Pentium III 1500 processor and 512 Mb RAM memory. The RonyaSoft poster making software program is compatible with Windows XP (32 & 64), Windows Vista (32 & 64), Windows 7 (32 & 64), Windows 8 (32 & 64), Windows 10 (32 & 64)." Surely if you design a poster in a poster design program you should be able to print it within that program. My word processor doesn't limit me on the number of pages I can print so why should a poster program limit the size. Louis, Surely if you design a poster in a poster design program you should be able to print it within that program. My word processor doesn't limit me on the number of pages I can print so why should a poster program limit the size. Will i not make sense yo have included the Software required to print (Poster printer) as one bundle, in this Giveaway? There is no point offering "half software" on GAOTD. Louis, Will i not make sense yo have included the Software required to print (Poster printer) as one bundle, in this Giveaway? There is no point offering "half software" on GAOTD. Salvia, You can print any size you can design and render in the program in any printer capable of printing that size of document! If your real printer cannot handle larger than physical form factor printing by printing to multiple sheets like some printers drivers can then you can print to cutepdf virtual printer and have the poster/banner printed comercially for single sheet printing or buy/wait for next giveaway of ronyasoft poster printer (which has been given away before too) and you can have the cheap and nasty A0 or whatever made out of A4 patches taped or glued together. All of the options including buying additional software or comercial printing is cheaper than buying your own massive format printer. Salvia, You can print any size you can design and render in the program in any printer capable of printing that size of document! If your real printer cannot handle larger than physical form factor printing by printing to multiple sheets like some printers drivers can then you can print to cutepdf virtual printer and have the poster/banner printed comercially for single sheet printing or buy/wait for next giveaway of ronyasoft poster printer (which has been given away before too) and you can have the cheap and nasty A0 or whatever made out of A4 patches taped or glued together. All of the options including buying additional software or comercial printing is cheaper than buying your own massive format printer. Salvia, your word processor does limit you on the sizes of pages you can print in exactly the same way this does, your installed printers places the restrictions not the program, subject to the limitations of allocatable memory of course. You can print it direct to any printer, although the saving mode is restricted to PDF and JPG (surely PNG should be included in save options). Most printers have a POSTER feature installed in them. Change the confusing SAVE AS to include all the saving options instead of using SAVE AS PDF to find only the two options. Is there a half price offer on Poster Designer as well? I don't mind paying a reasonable price for permanent licence key. You can print it direct to any printer, although the saving mode is restricted to PDF and JPG (surely PNG should be included in save options). Most printers have a POSTER feature installed in them. Change the confusing SAVE AS to include all the saving options instead of using SAVE AS PDF to find only the two options. Is there a half price offer on Poster Designer as well? I don't mind paying a reasonable price for permanent licence key. DenisX, agreed it should be "Export To" JPG/PDF not save as. Traditionally "Save As" affects the loaded project data type, ie layers are flattened if the saved as format does not support layers or colour depth is changed when saving as a GIF or some features are lost when saving a DOCX to a DOC or ODT format etc. Strange, I installed it on other partion but there it took only 12MB all its clipart library is on C under public documents. Why not keeping it under one roof? It support Arabic/Hebrew and thats good. I was able to print to foxit PDF no problem. Looks as a keeper even I have limited use for it. Like that includes so many graphics. But once designed need to buy a separate software to print???? No thanks. Like that includes so many graphics. But once designed need to buy a separate software to print???? No thanks. CB, the printer software was a giveaway a few months back. It appears you may have missed it. Their printer software is NOT required, you can print to any printer you already have. One fault showing up on my computer however is that the program opens up each time, half off my screen, which the earlier version didn't do. CB, Their printer software is NOT required, you can print to any printer you already have. One fault showing up on my computer however is that the program opens up each time, half off my screen, which the earlier version didn't do. Can't find any way of doing it in my Epson 640 colour circa 1998, kept because ink refills are only £2.50 and £5.00, and it doesn't decide when the ink cartridge is empty. Nigel, Can't find any way of doing it in my Epson 640 colour circa 1998, kept because ink refills are only £2.50 and £5.00, and it doesn't decide when the ink cartridge is empty. All I can say is when I go to "Print" my full list of printers are there including my Brother DCP-J152W (Then again, it was made THIS century). The ink for that costs $10 for three refills of the black cartridge and four of each colour). I'm all for getting the best use out of hardware, but sometimes it just doesn't work with modern operating systems. Salvia, All I can say is when I go to "Print" my full list of printers are there including my Brother DCP-J152W (Then again, it was made THIS century). The ink for that costs $10 for three refills of the black cartridge and four of each colour). I'm all for getting the best use out of hardware, but sometimes it just doesn't work with modern operating systems. You can only Print to a maximum of your standard paper size..... anything beyond that needs another program of theirs called 'Poster Printer". Absurd that they cant put the two together. A poster is not usually A4 size, if you ask me? Nigel, You can only Print to a maximum of your standard paper size..... anything beyond that needs another program of theirs called 'Poster Printer". Absurd that they cant put the two together. A poster is not usually A4 size, if you ask me? Both the printer software and the Poster software need not be separated into two. Hughjocapivvy, Both the printer software and the Poster software need not be separated into two. A poster can be any size, A0 to A10 and beyond if you so wish. It just so happens that Ronyasoft have a printing software to facilitate making large size posters that most printers can't handle. Although both programs can be used together, there's no reason they should be bundled together. Many people print posters of size A4 and smaller using normal printers - I used to in my bars. Not everyone wants billboard size posters. Mike, A poster can be any size, A0 to A10 and beyond if you so wish. It just so happens that Ronyasoft have a printing software to facilitate making large size posters that most printers can't handle. Although both programs can be used together, there's no reason they should be bundled together. Many people print posters of size A4 and smaller using normal printers - I used to in my bars. Not everyone wants billboard size posters. nobody of sane mind would print on an inkjet printer beyond A3 size because you'd be literally throwing money away.